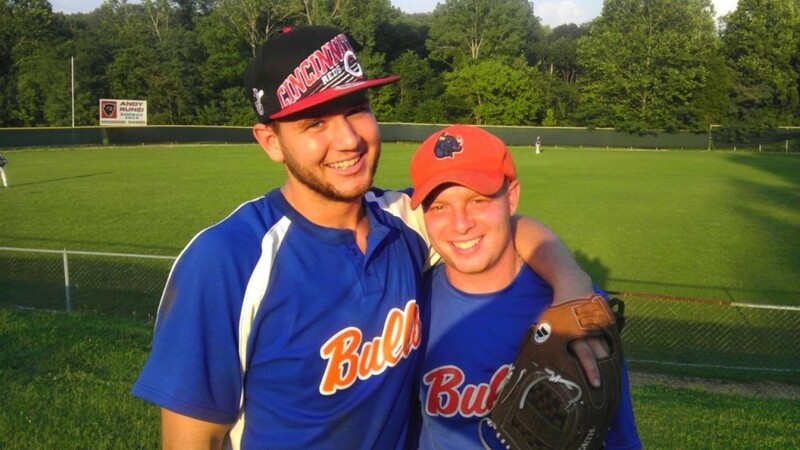 While my son was in High School he played baseball for a traveling select team, the Bulls. Tonight the Bulls alumni played the current team. Denny dropped a great bunt and made a diving catch in the outfield. The "Old" guys showed a little long ball action as well. They won 12 -10. Here is my son and one of my former football players and great guy, Tyler Rulo. This is the picture of the day.